Join Doley on her latest adventure when the Caravan of Colors comes to town! Doley explores the world around her through the sense of sight. Featuring breathtaking illustrations by Marcio Diaz. 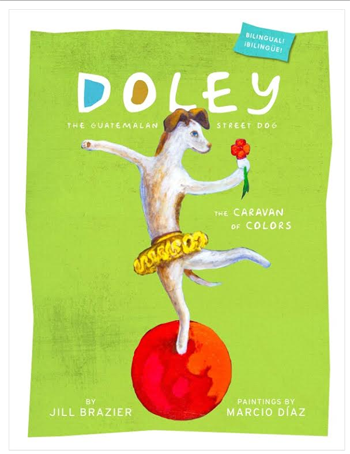 Purchase your signed copy of this award winning book directly from the author through FB: Doley the Guatemalan Street Dog. Send us a message to purchase a book – we will get back to you right away!